As a singer, multi-instrumentalist, and actress, experienced with multi-media performances, workshops and musical theatre productions, Mariana Sadovska is an internationally renowned and award-winning artist and composer. 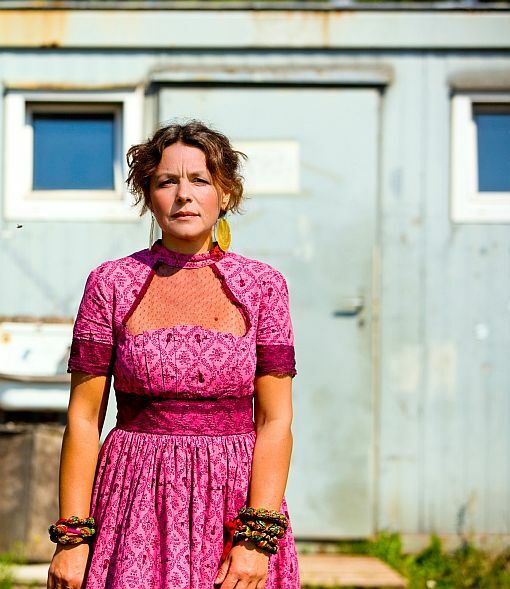 By organizing ethno-musical expeditions in rural Ukraine and Poland, she has collected a large body of traditional songs, stories and rituals that she transforms into modern sounds for today's generations. Finding her inspiration in the musical cultures of Eastern Europe, Mariana Sadovska systematically explores and experiments with new sounds, creating unusual and intriguing sound patterns and compositions. In addition to her outstanding solo performances with voice and harmonium or piano, international collaborations have led to a variety of successful and fascinating artistic projects, such as her recently composed piece “Chernobyl. A Harvest” commissioned by and performed together with the Kronos Quartet in New York and Kiev; or her “Borderland” cross-over project with German jazz musicians. With the latter she was awarded the “creole award for world music in North Rhine-Westphalia” (2006). Also her most recent prize, the German World Music Award RUTH (2013) highlights the multifaceted talents of this artist who follows her insatiable search for new sounds, sparing no energy and effort to combine profound research with her curiosity and exceptionally high artistic skills. At the heart of OUTERNATIONAL are artists whose working with a language of sound and performance traditions, its hybrids and collisions. OUTERNATIONAL is curated by Elisa Erkelenz as part of the #bebeethoven Fellowship Program on the occasion of the Beethoven Anniversary 2020 sponsored by the Kulturstiftung des Bundes, the State of Baden-Württemberg, the Baden-Württemberg Foundation and the L-Bank.